Anat and Bushra were joined on stage by Hamutal Bar-Yosef, an Israeli poet, and Rowand Aktam, a Palestinian student, who read the poem “Revenge,” by Taha Muhammad Ali. Read the full transcript of the poem and the other speeches given here. 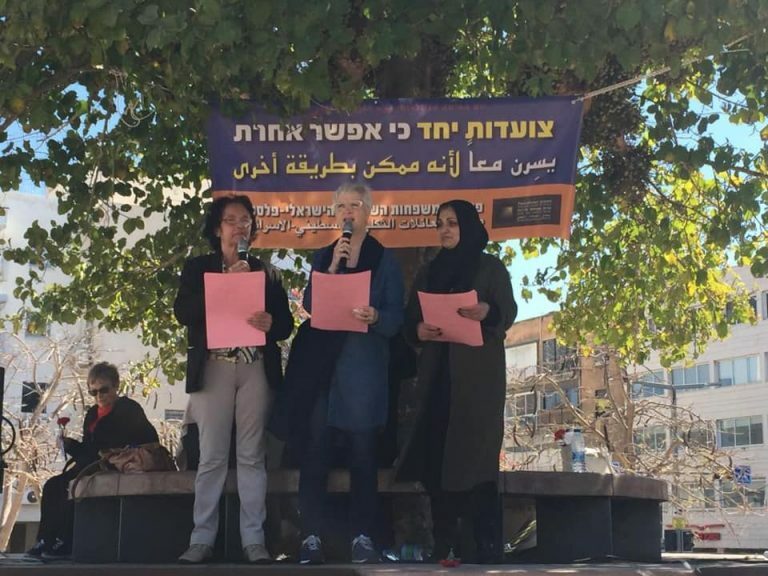 Our Women’s Dialogue Meeting program brings together bereaved Israeli and Palestinian women for peaceful dialogue, and provides peacebuilding training for women leaders. This program is under direct threat due to the Trump administration’s cuts to USAID. 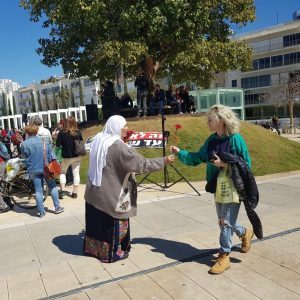 Your tax-deductible donation will support the joint peace building efforts of Israeli and Palestinian bereaved families.